Bonefish, permit, tarpon, jack, barracuda and shark are the most frequent target species in shallow water sight fishing in the Florida Keys. Bonefish, Permit and Tarpon are the big three fish of shallow water fishing and when an angler lands all three on a single day it's a a grand slam. Snook, Tarpon and Redfish are the species of choice in Florida Bay and the Everglades and an angler who catches all three on the same day achieves a back country slam. The bonefish, is a bullet shaped fish that prowls the shallow flats and is one of the fastest swimming fish in the ocean. They average 4 to 8 pounds with weights reached to 15 pounds. The Keys are home to the largest bonefish in the world. Bonefish are found on sand and grass flats on both the Ocean (Florida Straits) and Gulf (Florida Bay) sides of the Keys in water as shallow as a few inches. Fly fishing for Bonefish involves 8 to 10 weight rods. The permit is a relative of the Jacks. Permit, which can reach weights of 50 pounds, spend significant parts of the year foraging in shallow water for crab and shrimp. The good news is that Permit are suckers for live crabs on a spinner and when a Permit takes a well-placed fly, the sense of achievement is unbelievable. Captain Todd takes pride in Guiding many anglers to their first ever permit catch on a fly. Tarpons are the most remarkable sport fish in the world. An ancient species, Tarpon grow to 250 pounds plus and when hooked perform acrobatic jumps which defy belief and burn themselves into ones memory. On warm days in March and April, where water temperature reaches the high 70s or low 80s, Tarpon are found Alaying up@ in 4 or 5 feet of water waiting in ambush in the back country (Gulf side of the Lower Keys) for passing foodstuffs. Jacks are strong, fast swimming fish, and depending on the season congregate along the edges of shallow water flats. 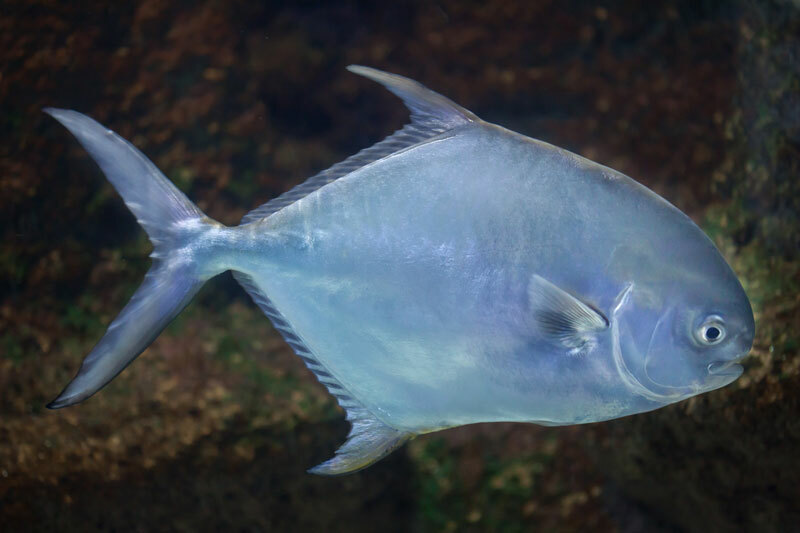 There are two species of Jacks which are frequently seen, the Crevalle and the Yellow Jack. They are aggressive feeders and tenacious fighters. So, look out and hold on to your rod! Even a 5 pound Jack crevalle will give an angler a workout on a small spinning outfit or a 9 weight fly rod. But the rewards in catching one? Priceless. The great Barracuda, is one of the most underappreciated game fish on the shallow water flats, and large (up to 5 feet and 65 pounds). They can be persuaded to take a fly and are equally unable to risk a tube lure on a spinning rig. Barracuda peak year-round, even in the Winter and Spring months. The Florida Keys are home to many, many sharks. B Lemons, Bulls, Hammerheads, Bonnet Heads and are found in shallow water and a 200 pound lemon shark will give any shallow water angler all he or she can handle. Shark fishing is a wonderful activity in the winter and early spring. Sharks will feed on flies, plugs and bait. Perhaps the most popular sport fish is the Snook. Depending on the season, Snook are found throughout Florida Bay and are typically fished for by. Snook grow to 40+ pounds and it is not uncommon to catch a fish of 10 to 15 pounds. Snook are strong fighters and are great fun on bait casting or spin casting equipment. There are some Redfish in the Keys, but the Red fishing improves the closer the angler is to Flamingo in the Everglades National Park. Redfish are increasingly plentiful now that the Ablackened redfish craze has passed and fish up to 15 pounds are common. Redfish can be fished in many ways, with simple lures and baits.